is Free blog platform provider and supported by Google. This platform is used by millions of new bloggers and pro bloggers worldwide. As a brand name like Google associated with Blogger makes it a trusted platform. But as a newcomer, you may face issue sometimes of linking your purchased or custom domain to your blog spot or blogger website. Well, you don't need to be a scientist to get rid of the issue. I have also faced the same issue with linking my domain to blogger and solved it after doing the following steps. Below I have described all the steps how you can solve the issue based on my own experience. 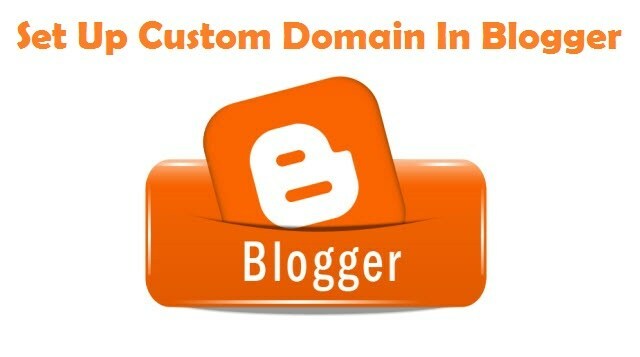 I have already described how to add a custom domain to the blogger in my previous post. So I am going into that and only showing how to troubleshoot. 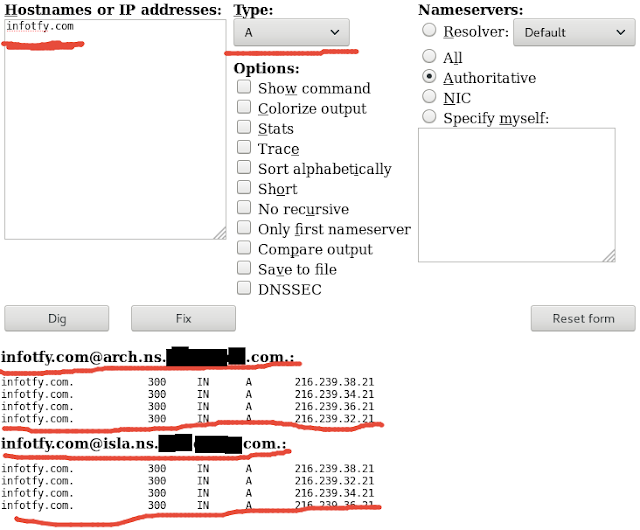 Check Your DNS settings. Visit this URL (https://www.digwebinterface.com/?hostnames=infotfy.com&type=Reverse&useresolver=8.8.4.4&ns=all&nameservers=) and look for all your DNS setting as suggested by blogger including your Nameserver. I have provided a screenshot here how it looks like. If all propagated well then move to the next step and if all the records still pending for the update, wait for 30 minutes to fully propagate. Check HTTPS Redirect Settings. While you publish your blog using a custom domain name, the " HTTPS availability " and " HTTPS redirect " options are automatically shown disabled. But in some cases, this doesn't seem to happen. With redirect enabled, the custom domain may not work. So, Always keep it disabled and republish your blog again. I have provided a screenshot below on how these options should be. Then You should not follow the first 2 steps. Follow Step 3 directly. Remove your custom domain. Click on "X" mark beside your custom domain, Just like below screenshot and remove your custom domain. Now add your custom domain again and always keep first 2 steps in mind before adding your custom domain to blogger or Blogspot. Wait for at least 30-45 minutes (as suggested by Google) to start things working. Happy blogging!! Do not forget to write me whether this article helped you or not.